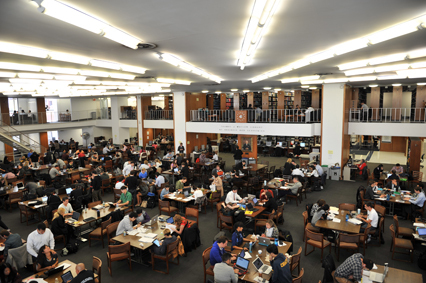 Columbia University has access to the Infogroup’s Historical Business File via WRDS. Infogroup gathers geographic location-related business and residential data from various public data sources, such as local yellow pages, credit card billing data, etc. The Infogroup database at WRDS contains two packages: Historical Business and Historical Residential, both of which largely focus on US sectors. The Historical Business data starts in 1997, while Historical Residential dates back to 2006. The Historical Business data is a calendar year-end snapshot of local business data. It contains business identification, location, industry, corporation hierarchy, employment, sales, and other fields. This entry was posted in data on January 27, 2017 by Chubing Tripepi. Using Python, R, MATLAB APIs for Datastream! Do you know that in addition to Excel API, now you can also extract data easily from Datastream by using Python, R, or MATLAB? PyDatastream is a Python interface to the Thomson Dataworks Enterprise (DWE) SOAP API (non free), with some convenience functions for retrieving Datastream data specifically. This package requires valid credentials for this API. It is a Python API for time-series data which abstracts the database which is used to store the data, providing a powerful and unified API. It provides an easy way to insert time-series datapoints and automatically downsample them into multiple levels of granularity for efficient querying time-series data at various time scales. This package is mainly meant to access Datastream. However basic functionality (request method) should work for other Dataworks Enterprise sources. The package is using Pandas library (GitHub repo), which I found to be the best Python library for time series manipulations. Together with IPython notebook it is the best open source tool for the data analysis. For quick start with pandas have a look on tutorial notebook and 10-minutes introduction. R: RDatastream (in fact PyDatastream was inspired by RDatastream). Please note that only PhD students and faculty can request credentials. Please email business@library.columbia.edu if you had any questions.